Celebrating Freedom…But Are We Really Free? 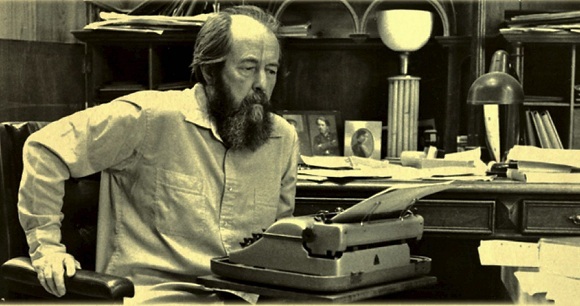 Fifty years ago this month, Aleksandr Solzhenitsyn’s story “One Day in the Life of Ivan Denisovich” was published in the journal Novy Mir (New World). Both the author’s first work to appear in print and the first account of Stalinist repression to be openly distributed in the Soviet Union, it marked the beginning of Solzhenitsyn’s prophetic career. 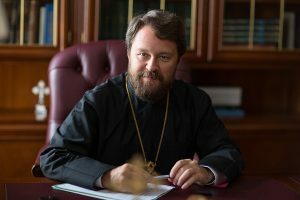 In celebration of his life and work, we offer an interview given shortly after the writer’s death by Archpriest Nikolai Chernyshev, cleric of the St. Nicholas Church on Maroseyka Street in Klenniky (Moscow), who served as the spiritual father of the Solzhenitsyn family during the final years of the writer’s life. Aleksandr Isayevich Solzhenitsyn departed on his final journey in accordance with the Orthodox tradition. What was the writer’s path to faith? I would refer you to Ludmila Saraskina’s book about Solzhenitsyn that was recently published [in Russian, 2009] in the series “Lives of Great People.” The biography of the writer found in this book is the most complete and sober. Aleksandr Isayevich grew up in a deeply religious Orthodox family and was conscious of himself as an Orthodox Christian from the very beginning. These were the years of militant atheism, so he had trouble with his classmates and teachers at school. Naturally, he joined neither the Young Pioneers nor the Komsomol [All-Union Leninist Young Communist League]. The Pioneers would tear off his baptismal cross, but he would put it back on every time. At that time the churches in Rostov-on-Don (Rostov Oblast), where the writer was born and was then living, were closed one after another. By the time he was growing up there, not a single functioning church remained within hundreds of miles of Rostov. As we know, at that time the ideas of Marxism and Leninism were imposed not just actively, but aggressively. In educational institutions, the study of Diamet [dialectical materialism] was unavoidable. The young Sasha Solzhenitsyn took an interest in Marxism, in dialectical materialism, and this ran contrary to his childhood faith. An unbearable weight was placed on his fledgling soul. At that time many people were crushed by this burden. As Aleksandr Isayevich relates, this was a period of torturous doubt, of rejection of his childhood faith, and of pain. He could see that there was no truth in what was going on around him. But the theory, as it was soothingly expressed in the books, had its appeal. His true return to God and his second thoughts took place not at the front, but in the camps after the war. In these, the most difficult moments of his life, he was reminded of the “leaven” given to him in his family by his mother. Therefore, it cannot be claimed that his coming to faith was abrupt and unanticipated. Faith had been passed down from generation to generation in his family, and it came out the stronger. All the goodness, the God-given grains? Sang to You in the glow of Your shrines? My life’s lot like warm wax in the hand. In my breast the great building of faith. On the meaningless life I have led. Not made plain to me till afterward. Oh great God! I believe now anew! Aleksandr Isayevich said of himself that he was “not a specialist in church questions.” What aspects of church life did interest him? He was not, of course, a “church person” in the sense of being interested in the church canons, in the structure of the divine services, or in the external organization of one or another aspect of church life. What interested him was the life of the soul, life as prayer and as the fulfillment of the Gospel. But if we are to speak of aspects of the life of the Russian Church, he suffered and fretted about the Church being in a repressed state. For him this was open, obvious, naked, and painful. Starting with the divine services, everything is becoming more and more incomprehensible and taking place further and further apart from the people, resulting in the Church’s ever decreasing role in the life of society and in the spiritual care of both young and older people. He was interested in how the life of the Church should be based on the Gospel. He was worried by the problem of the unity of the Church. This is something that cannot but pain the heart of every believing person. Aleksandr Isayevich experienced it like a personal pain. He saw, of course, that ecclesiastical divisions have an effect on society. He saw the schism of the seventeenth century as a persisting problem. He had extraordinary regard for the Old Ritualists, seeing how much truth was in them. He suffered from the fact that there was no genuine unity, although canonical communion is observed. All problems that related to any kind of division in church life were extraordinarily painful to Aleksandr Isayevich. Today many people remember the writer’s famous “Lenten Letter” to Patriarch Pimen (1972) and say that Solzhenitsyn expected, and even demanded, greater participation by the Church in society. What were his views in this regard at the end of his life? Solzhenitsyn was one of those people who could not remain silent; his voice was always heard. And, of course, he was convinced that the Savior’s words Go ye into all the world, and preach the gospel to every creature should be fulfilled [Mark 16:15]. One of his convictions, his idea, was that the Church, on the one hand, should naturally be separate from the government, but by no means should be separate from society. He felt that they are quite different, that they are completely opposite things. Its inseparability from society should become more and more manifest. And here he could not but see the encouraging changes of recent years. He joyfully and gratefully took in everything positive taking place in Russia and in the Church – but he was far from complacent, since all of society had become twisted and sick during the years of Soviet rule. He understood that if the sick lead the sick, or if the lame lead the lame, then nothing good will come of it. The activity he was calling for, that inseparability from society, should by no means be expressed in violence, in the suppressive structure of thought and action customary of the Soviet era. He felt that, on the one hand, the Church is called to lead society and to have a more active influence on the life of society – but today this should by no means find expression in those forms used by the ideological machine that broke and mangled people. The situation has changed in recent years – and he could not help but sense new dangers. Once he was asked what he thought about the freedom for which he had fought and what he felt about what was going on. He replied with a single hammered-out phrase: “There’s plenty of freedom, but little truth.” He keenly perceived the danger of a false substitution – and, therefore, was far from calm. When he returned to the Motherland and began to travel around Russia, he saw the country’s whole plight – not only the economic side, but also its spiritual condition. Of course, he saw a fundamental difference between the thirties or fifties and the present state of things. He was not a dissident in a state of constant confrontation with everything. This wasn’t the case. There are people who try to make him into this, but this wasn’t who he was. Despite exposing these terrible societal wounds, there was always a powerful life-affirming force in what he wrote and did. He had a Christian’s positive, life-affirming, and luminous attitude. A. I. Solzhenitsyn was one of the past century’s most outstanding Russian thinkers. Did any conflict arise in his soul between reason and religious feeling? Such conflict had its place in the years of his youth, beginning in the upper grades of school, during the years of the front. This was a time when all the churches were closed, when there was no one with whom to advise, and when church life has been almost completely destroyed by the Bolshevik’s machine of repression. Then there were such conflicts. It was in the camps that his return to the roots of his faith began, a renewed sense of responsibility for every step and every decision. Of course, Aleksandr Isayevich was a person of complexity. People will, and should, argue about him. With a personality of this caliber and magnitude, it could not have been any other way. This was a person who did not simply repeat certain studied thoughts, but approached the truth of the Gospel through his own searching. In his tribute to Aleksandr Isayevich read at his funeral, His Holiness the Patriarch [Alexy II] cited an evangelical precept from the Sermon on the Mount: Blessed are they which are persecuted for righteousness’ sake [Matthew 5:10]. This applies to the long and burdensome pages of Aleksandr Isayevich’s life. Other words of the Savior likewise apply to his entire life, from his school years right up to his last days: Blessed are they which do hunger and thirst after righteousness: for they shall be filled [Matthew 5:6]. Of course, we tend to place the accent on the first part of this phrase. But I saw how he experienced the blessedness and spiritual fulfillment that is achievable in this earthly life: joy came to him in his last days for having carried out his vocation. He said: “If I had organized my life according to my own plans, it would have consisted of terrible mistakes. Now I can see this. But the Lord always rightened and recast my life, sometimes invisibly and sometimes in an obvious manner. Now I see that everything came together in the best possible way.” These are the words of a person of deep faith, who is grateful to God, and who accepts gratefully all that the Lord sends him. Could Aleksandr Isayevich be said to have been a parishioner of any particular church? Was he frequently in church? When we met Aleksandr Isayevich he was already ill and almost never left the house. When the Solzhenitsyn family returned to Russia, Aleksandr Isayevich and Natalia Dmitrievna came to our church and got acquainted with our clergy and parishioners. Afterwards, Natalia Dmitrievna began to visit often and to ask us to come to give Confession, Unction, and Communion to her husband in their home in Troitse-Lykovo. Our form of communication was due solely to the fact that Aleksandr Isayevich himself no longer had the strength or ability to attend services. It should be said that I visited them regularly, not just on a case-by-case basis. Speaking as a priest and spiritual father, what memories of the deceased have stayed with you? The most striking thing in him was his simplicity and guilelessness. An amazing tenderness and mutual care always reigned in their family. This likewise manifests his Christian attitude to his neighbors and the way in which he built up his home as the “little Church.” This was truly amazing. Guilelessness, simplicity, sensitivity, carefulness, and attentiveness – all of these were characteristic of Aleksandr Isayevich. He touched on this in one of his interviews: Old age is given to us for self-examination; for us to evaluate, reflect upon, and look more strictly at every moment of our lives. All the while, these thoughts were not fruitless navel gazing; rather, they served as the basis for him to serve according to his strength until very recently. Despite his infirmity, he nonetheless never permitted himself any slackness or carelessness. He scheduled his time strictly until recently. Along with this strict work schedule, he tried to receive people – many, many people, from completely different spheres of life. He tried to leave no one who appealed to him, whether in personal conversation or in writing, without an answer. Many people called him, and continue to call him, a recluse. They allege that he secluded himself and was not involved with anything. This was not the case. Many people came to him; many people turned to him for help. 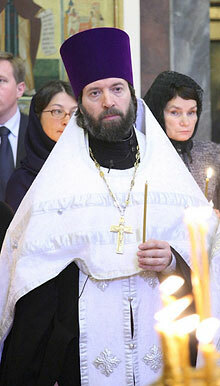 That he was buried with Orthodox rites was not simply a matter of tradition. It witnesses to the fact that this man completed his earthly life in true service to Christ and to His Church. Interview conducted by Maria Moiseeva. As translated by Ignat Solzhenitsyn in The Solzhenitsyn Reader: New and Essential Writings 1947-2005. Edward E. Ericson and Daniel J. Mahoney, ed. (Wilmington, DE: ISI Books, 2006), 21.